The telecommunication service of Pakistan is the very popular throughout in Country. There is countless people use mobile network service through his/her cellular phones. Telecommunication technology is increasing all over in world and in Pakistan the need of telecommunication is also getting high day by day. As per information in 2008 Pakistan was the world’s third fastest growing telecommunication market and in this year 2016 mostly people of Country are also getting telecommunication facility to use on daily routine. This is an efficient service for all the people because they can easily contact with anyone within seconds through his/her cellular phone. 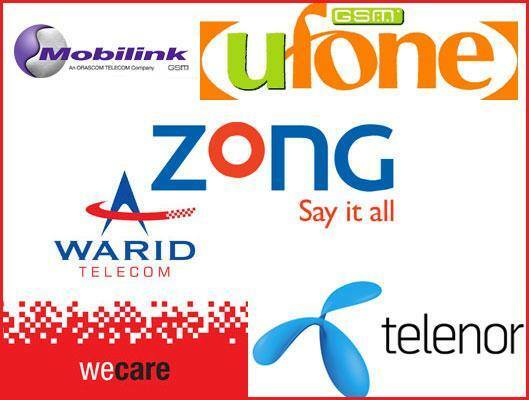 In Pakistan five telecommunication companies are providing network service throughout in Country and all the companies have countless subscribers from all over in Country. Mobilink network one of the finest telecommunication of Pakistan that is providing a reliable network facility of its cellular subscribers. Customers can easily avail multiple qualities of facilities after purchasing sim-card of this network. It has an amazing infrastructure in Country and almost more than 8500 employs are working in this company. It has more than 38.2 million subscribers throughout in Country and it provides calling, texting and internet facility for its valued consumers with astonishing rates. It also provided other value added service for its valued customers and it also giving Mobi-Cash facility for people to sending or receiving payments promptly. Mobilink Jazz Help-Line number is 111. Customers just need to dial 111 to communicating with help-center of Mobilink Jazz. Ufone is emerging telecommunication of Pakistan and there are countless cellular operators need to avail service of this network through his/her mobile phones. It provides phenomenal packages and offers for its valued customers. This is highly popular telecommunication of Country and it was established in January 2001. It serves an amazing feature with cheap charges for its consumers and customers easily attract to activate various features of this network to use on regular basis. The details of Ufone network are mentioned as below. Ufone Help-Line number is 333. Subscribers can easily dial 333 from his/her mobile phone for communication with help-center of Ufone. The Ufone LandLine number is 111-333-111. Telenor is highest famous telecommunication company of the World and it has acquired a license for providing telecom facility in Pakistan in April 2004. It is an amazing network and there lots of cellular operators connected with this network to avail multiple facilities of Telenor. It has launched two amazing connections sim-card with the name of Djuice and Talkshawk. The subscribers of both connections are increasing day by day. Telenor Help-Line number is 345. Warid is fourth higher rank telecommunication company of Pakistan and it has more than 12.9 million subscribers throughout in Country. This is a company of Abu-Dhabi and in Pakistan it has lots of subscribers who rely to avail multiple facilities by using sim-card of this network. It provides exceptional features for its valued consumers and calling rates, SMS charges and internet rates are cheap for consumers and it is first one who launched Warid 4G packages for its valued customers in Pakistan. Warid Help-Line number is 321. Zong is the newest launched telecommunication of Pakistan but now it has second largest GSM service provider of Country. It easily attracts of cellular operators with cheap packages and offers and mostly subscribers connected with this network due to the reason cheap packages of Zong. It is only one network of Country that is serving 2G and 3G internet facility of its valued consumers and there are lots of subscribers who feel comfortable to use Zong telecom service. Zong Help-Line number is 310.